We deliver to UK (mainland UK and N.I.) and Republic of Ireland only. We can deliver to other countries but please contact us first regarding postage / shipping charges and method of payment. While our website does ship to the Jersey Islands and Isle of Man (as part of the UK) longer shipping times might apply. We do not refund VAT for any orders to Jersey. Spares Parts: Your shipping charge will be a minimum of £4.50 to a maximum of £6.00 depending on the type of Spare Part being shipped and the quantity ordered. For Mainland UK / N.I and ROI, Minimum of £4.50 to maximum of £6.00 with DPD 2-3 working days. https://dpd.ie/tracking For UK Offshore Islands, please email us sales@tapsandsinksonline.co.uk, as there is an additional surcharge. Click here for more information about all Shipping here. Please contact us at sales@tapsandsinksonline.co.uk should you require your Track and Trace number which is only available from our Warehouse during normal office hours Monday to Friday 9.00 – 5.30pm. Orders are only dispatched Monday to Friday (other than Bank Holidays). Our Cut-off time to ensure dispatch same working day is 2pm. Where an order is received after 2pm Monday to Friday then it might not be dispatched until the following working day. No orders are dispatched Saturday or Sunday or Bank Holidays (Republic of Ireland Bank Holidays apply here as our warehouse is based in the Republic of Ireland). There might be additional delays where DPD do not work UK Bank Holidays. Granite Sinks & Ceramic Sinks: £125 on a Pallet by specialist transport company. Delivery takes approx 2-3 working days. Please contact us at sales@tapsandsinksonline.co.uk should you require further information on the location of the pallet in transit. This information is only available from our Warehouse during normal office hours Monday to Friday 9.00 – 5.30pm. If you have any queries about the cost of shipping, please email us at sales@tapsandsinksonline.co.uk and we will let you know before you purchase. While our website takes orders 24 hours per day, 7 days a week, goods are only dispatched on working days i.e. Monday to Friday. Orders received by Noon on a working day are usually dispatched on that day. Orders received after Noon might not be dispatched until the following working day. If you have placed an order on our system and you have not received a confirmation email, please check your Spam / Junk mail folders (especially if you are using a Hotmail Account). When will my goods be dispatched if I order over a Bank Holiday Weekend? When will my goods be dispatched if I order before or during the Christmas Holidays? Any orders received by Noon Wednesday 21st December will be dispatched same day. We will do our best to ship items received between 1pm – 3pm same day but we cannot guarantee that they will shipped as this will be our busiest time. For items shipped via Express Post on Wednesday 21st December, you should receive these items BEFORE Christmas. Any item dispatched by Royal Mail First Class might or might not arrive before Christmas due to the high volumes of Post over the Christmas Period. Any Order received after 1pm Wednesday December 21st might not be dispatched until January 2nd 2019. While our website takes orders 24 hours per day, 7 days a week, goods are only dispatched on working days i.e. Monday to Friday. Orders received by 2pm are usually dispatched the same working day. Orders received after 2pm on a working day might not be dispatched until the following working day. Please also see at the end of this section regarding Peak Seasons & Adverse Weather Conditions. The delivery period stated with in which you will receive your order is approximate. Goods will be sent to the address given by you in your order.. Where you have supplied an invalid shipping address and the goods are returned to us by DPD, then if you wish us to reship you will have to pay a second shipping charge. If you are ordering more than one item, your goods may be sent to you in instalments if certain items are out of stock or have a longer lead-time. We will notify you in advance if this is the case. There will be no additional shipping charge for items sent in instalments. For mainland UK / NI / ROI: Please allow 2-3 working days. It might take longer for a Pallet. For UK Off Shore Islands, it might take longer. Items shipped on a pallet £125: For heavy fragile goods (Granite sink or Ceramic sinks) it will take approx 2 – 3 working days. It is a condition of sale that someone be there to check the goods in the presence of a courier. We do ship there but shipping times take longer than Mainland UK. We do not refund VAT on any order shipped to the Channel Islands. During the peak season before Christmas and New Year, there could be a delay and the delivery may take extra working days to be completed. During adverse weather conditions e.g Storms, then shipping might have to be suspended temporarily or is delayed. These are conditions of which we have no control over. We will provide tracking information on request. 2018 Christmas Deliveries – When is last Order Day for guaranteed delivery before Christmas? What if I am not in when you make a delivery? Items sent by standard post: These will just arrive with your normal post as they are not sent by track and trace and no signature is required. Items sent by Express Delivery £6 : Sent by Courier / Registered Express Post so a signature is required. We will only ship the item to the address provided by you the customer. You will receive a text message from DPD if you provided us with a mobile number, and DPD also send an email. Please note , that sometimes emails can end up in the Spam / Junk Mail or Trash box and that is outside of our control. If the DPD courier has been and has not been able to leave your parcel with a neighbour, put through the letter box or in a safe place, he will bring it back to the Depot and try you again tomorrow. All of these details can be managed from the text that you will receive from the DPD courier. Please contact us at sales@tapsandsinksonline.co.uk should you require your Track and Trace number which is only available from our Warehouse during normal office hours Monday to Friday 9.00 – 5.30pm. Items shipped on a pallet £125: For heavy fragile goods (Granite sink or Ceramic sinks) it is a condition of sale that someone be there to check the goods in the presence of a courier. Will I get back postage and packing charges that I paid, if I cancel my order? Yes, if the goods have not been shipped. No, if you cancel the goods after the goods have been shipped. We have endeavoured to provide as much information as possible (both pictorially and technically) on every item on our on-line shop. If the item is going to be expensive to return e.g. if a large item or a valuable item, then we would strongly recommend that you are sure that you want the item prior to purchasing it to avoid unnecessary expensive return costs. See below under ‘returns’ for costs of returns to us. Also please email sales@tapsandsinksonline.co.uk if you require further information before purchasing from us so that there should be no reason why you would cancel the order before it has been shipped. What is your returns policy if I don’t like the goods that I have received? We have a no quibbles return policy as we want our customer to be 100% satisfied with our products. If, for whatever reason you change your mind about our product, then once it is returned to us complete, unused and in the original packaging, within 14 days of receipt, then we will happily refund you the full cost of your purchase excluding the cost of dispatching the item to you or the cost of you returning it to us. You have to pay the costs of returning the goods if the return is due to a change of mind / unwanted goods. The cost of returns can vary depending on the size of the item purchased, the carrier you use to return the goods, the value and the size. It can range from £2.10 with Royal Mail, uninsured for a small spare part, returning the item track and trace signed can start at c. £8.70…….up to approx £60 if returning a high value item e.g. Sink worth £360. We would always recommend that Customers think very carefully before purchasing a high value item. Granite Sinks or Ceramic Sinks can cost c. £85 to return so we would not recommend purchasing a Granite Sink if there is any possibility of this item being returned for ‘change of mind’ reasons. We are happy to answer any additional queries that a Customer might have regarding a high value product (as we are about any item on our website) as it is costly to return these items so they are not the kind of item that should be purchased in haste. Full cost of returns can be found here: http://www.royalmail.com/price-finder and for heavier goods https://www.parcelforce.com/sending-parcel/international-parcel-delivery/global-priority . Ireland is Zone 5. Where the wrong item has been sent or the item is proven to be faulty, then we will either refund you in full OR pay the cost of returning the goods to us. Please email us at sales@tapsandsinksonline.co.uk before sending the goods. When returning a product, we ask that the products are unused, undamaged and are in all their original packaging, (if unpacking please make sure to re-package the same way to limit any damage to item if it’s being returned). You should also ensure that all larger items are fully insured for loss or damage and that they are protected adequately and in line with any requirements of the carrier being used. If returned to us by a third party, you will be responsible for any damages caused whilst in transit. If products are returned damaged or have any missing parts, and not in a saleable condition we cannot offer any refund. Where the wrong goods / quantities have been sent, and you wish to make a return, then we will refund you as per above and also refund you the cost of returning those goods providing that you forward to us proof of cost of postage. How do I cancel a purchase? You must tell us that you want to cancel the purchase. It is not enough to just send the goods back. We have provided you with a link in our terms and conditions which you can use to tell us about your decision, but you don’t have to use it. You must send the unused goods back within 14 days of informing us. See above regarding the Returns Procedure. How long will it take to process the refund? We will give you a refund within 14 days of receipt of your cancellation or notification of returning the goods, but we can delay refunding you if We haven’t received the goods or evidence that you’ve returned them. Where an order has been cancelled before it was shipped, you will receive 100% refund (unless the goods were a special order by you of an item that we do not normally stock and we obtained it specially for you. If a refund is due based on goods being returned due to change of mind unwanted, then the original shipping charges to you will not be refunded as these have been incurred by us in shipping the product to you. What is your Exchanges Procedure? Due the cost of shipping, we do not Swop or Exchange products where we have dispatched the correct product as per your Order. Where you have changed your mind or wish to order a different product instead, then you will need to order this product and return the unwanted product as per our Returns procedure outlined here. This does not apply where the wrong goods have been shipped or have arrived damaged. Where an exchange is not possible e.g. the goods are no longer available, then a full refund will be made instead. 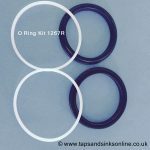 Please email us at sales@tapsandsinksonline.co.uk before sending the goods or use the Contact Email Box here here quoting Your Order number in this Contact email. You will be responsible for the Good(s) until they reach us. For your own protection, we suggest you use a secure delivery method which requires a signature upon delivery such as Registered Post (Recorded Delivery). What if the goods are faulty or arrive damaged? 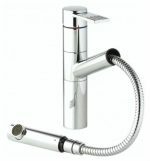 If you return an item to us which is faulty, which you did not order or for any other reason which is our fault, please contact us by email at customercare@tapsandsinksonline.co.uk to inform us and we will arrange a refund or replacement. You should outline exactly what you purchased, when you purchased it and the reason you are returning it. All goods are checked leaving the warehouse. In the unlikely event that goods arrive damaged, then they have been damaged ‘in-transit’. 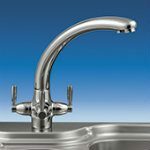 Please contact us by email at customercare@tapsandsinksonline.co.uk to inform us within 48 hours of delivery and we will arrange a refund or replacement. You may be asked to send pictures of damages. What if I have a dispute with you over a refund or goods received or some aspect of the transaction? Section 75 applies only to credit cards and not to debit cards or charge cards (where all charges must be settled at the end of the month). If you use a debit card, it’s possible that you may be able to use chargeback instead to get some or all of your money back (for chargeback, you would contact your own Bank). If you bought your item on a credit card, you may be protected by Section 75 of the Consumer Credit Act. This means you can claim against your credit card company to get your money back for items that cost more than £100 but not more than £30,000. If you used your debit card, or the item cost under £100 and you paid by credit card, you may be able to use chargeback to recoup the cost. If you paid using Paypal, you can raise a ‘dispute’ with the seller, as long as this is within 45 days of the payment. If this isn’t resolved within 20 days, you can escalate the dispute, and raise a claim under the PayPal Protection Scheme.